Fullerton is not just known for its world-class college baseball team. Orange County can get hot in the summer. Fullerton is no exception. To escape the heat, retreat in the pool is crucial. Enter Prestige Deck Coating. 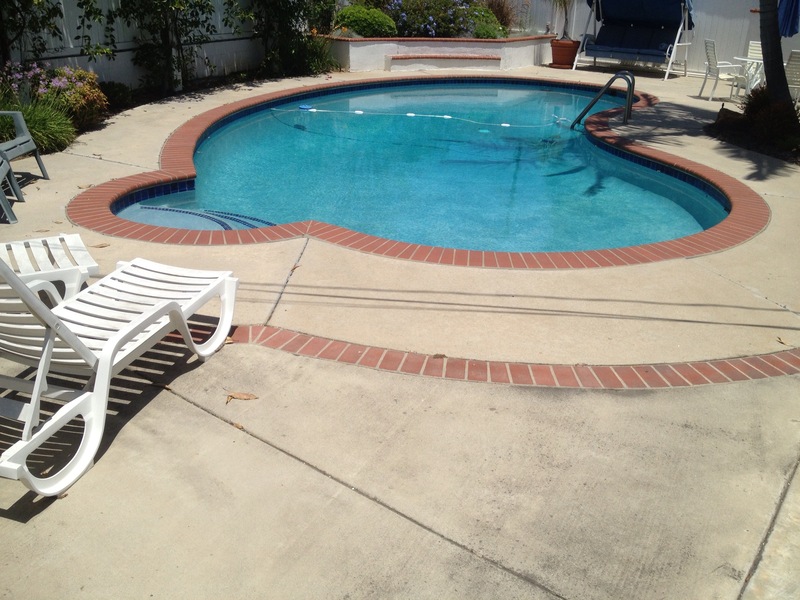 Our pool deck resurfacing Fullerton service is top-notch, timely, and safe. We know deck coatings, we know cool, we know grip. We want a safe environment for your family and other barbecue functions. One such pool deck in Fullerton was cracking severely in some places. We suggested having a concrete patch removed where a prior diving board was, and re-pouring. -We will remove the patch of concrete where diving board was. -We will re-pour concrete to prepare for our resurfacing system. -This process will need a 3 week time period to cure, before we apply our system. -We begin by grooving out the existing crack with a Diamond grinding equipment. 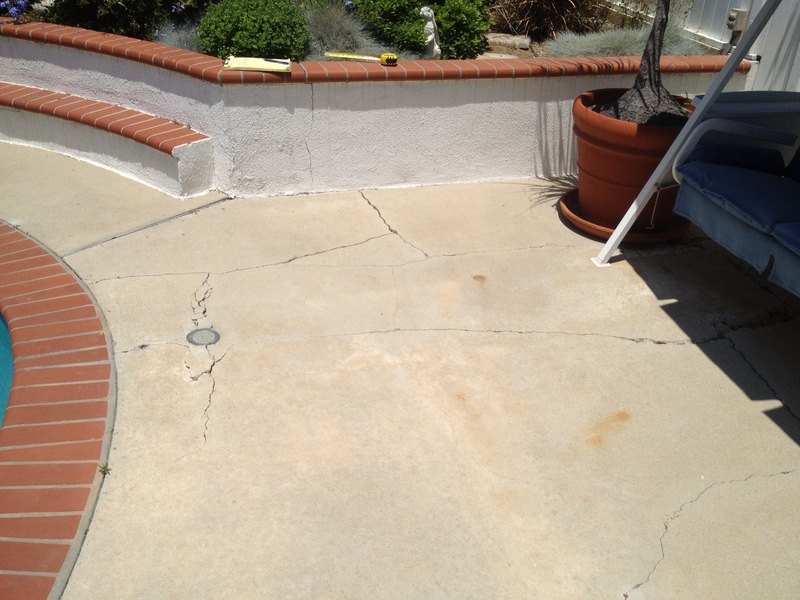 -After joint is cleaned out we will be repairing the cracks using a two-part epoxy crack repair. -We will be removing and replacing all expansion joint caulking (to match pool deck surface). Pool Deck Resurfacing Fullerton System. We will apply a textured overlay across the existing salt aggregate concrete pool deck to give it a fresh look. 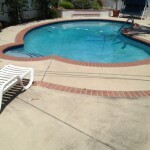 Pool Deck Resurfacing Fullerton is wet, wild, and safe with Prestige Deck Coatings on the job! You can go with other companies such as Dex O Tex, Versa Deck and Life Deck, but Prestige Deck Waterproofing company combines top-notch products, installation know how, and customer service that is unmatched. We shoot straight with you, from the estimate phase all the way through to the finished product! Learn More About Prestige Here!